Social Sound is a performance tool designed to aggregate the flow of real time social activity into a rush of sound in the real world, providing a unique portrait of the social sphere at a given moment in time. 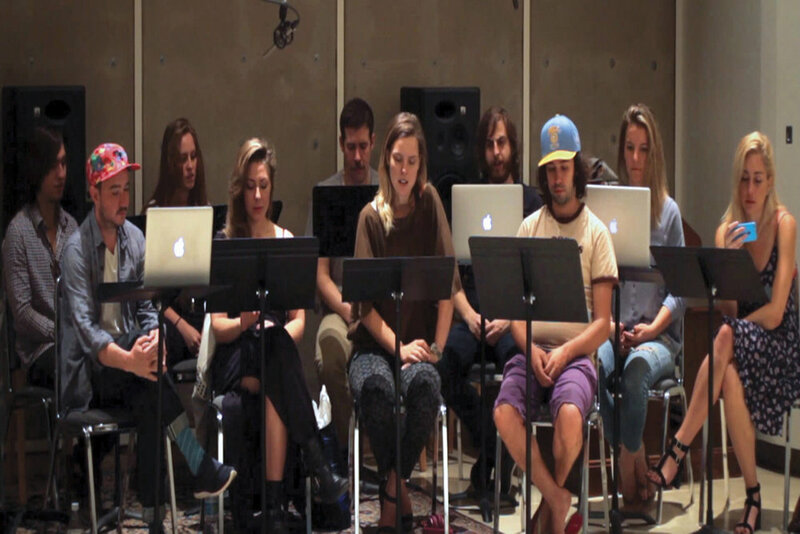 A choir of people gather in one physical location, using the Social Sound website as their virtual songbook, ensuring that each performer is reading a unique part. Tweets containing the key search term are channelled to the performers, who narrate the thoughts out loud. The tool defaults to tracking the word “now,” although any search term can be used. The tool can be found at socialsound.luxloop.com. Luxloop is an experience and media-design company founded by filmmakers Mandy Mandelstein and Ivaylo Getov to explore future formats of narrative storytelling and interactive entertainment. Luxloop pushes the boundaries of the medium by bringing stories to life using cinematic language and interactive technology. Their work has brought human voices back to social network conversations, sculpted a wall that watches as you walk by, and explored dark matter and scientific inquiry through a mind-controlled documentary.